What is Philip Overby’s Fantasy Free-for-All? Other than a mouthful, this is my new blog where I’ll feature all fantasy, all the time. Is it a game? I’ll discuss it. Is it a book? That too. Is it a movie? Yes. Is it football? Uh, maybe not. For the most part, this blog will focus on fantasy writing. These will be my own thoughts about fantasy writing, what I like, what I love, and what I really love. Notice I didn’t say hate. Yes, this is true. I think there are enough bastions of hate, displeasure, and apathy on the internet already. 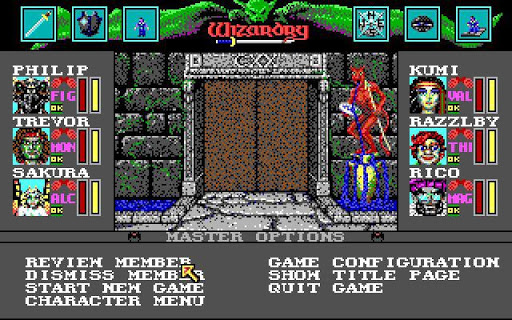 I’m going discuss things I love about fantasy 99.9 percent of the time. If I get aggravated about something that really worked me up, then I may post something negative. But this is highly unlikely. What else can you find here? Well, let me tell you. BANE OF THE COSMIC FORGE! 1980s representing. 2. Fantasy writing: I’m already an article writer at Mythic Scribes-Fantasy Writing, so you can get some of my views on fantasy writing there. But here will also be where I share my random thoughts about characters, plotting, pantsing vs. outlining, word counts, writer’s block, and whatever else tickles my fancy. 3. New releases (games, movies, TV shows): Here I may discuss what new games are coming out (Final Fantasy 15 anyone?) movies such as The Hobbit or TV shows like Game of Thrones or any other show I can get my hands on. Final Fantasy 15. I love you. 4. Books, books, and more books: I may share new books that are coming out, my thoughts about a book I read (probably not an in-depth review, but just general thoughts) anthologies I’m in or am interested in, and anything that involves words. For example, I’m pretty interested in this anthology: Unfettered with proceeds going to writer Shawn Speakman’s to help pay for debt accrued from cancer treatment. Not only is this a good cause, but it also has lots of great authors contributing like Brandon Sanderson, Patrick Rothfuss, Terry Brooks, Naomi Novik, Michael J. Sullivan, Mark Lawrence, and many more. 5. You! : Yes, that’s right, you! I want to use this blog to share information about any up and coming fantasy writers who want to share something they’re working on, something that’s recently came out, or their thoughts through interviews. So here’s my obligatory”what’s this all about?” post. Now keep an eye out for plenty of content, even stuff directed by you! Got a topic? Pitch it and I’ll write about it. I may even do contests, writing prompts, and other things fantasy related to get people involved. So keep a look out. I’ll have more fantasy goodness than you could shake a holy avenger at. 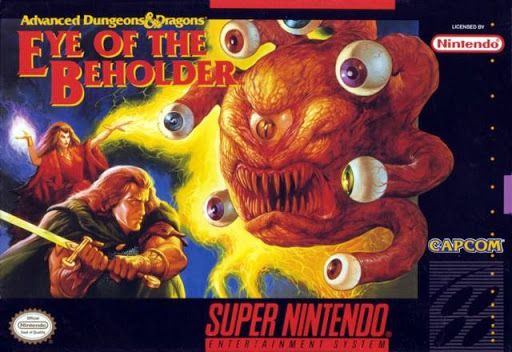 And just for fun, here’s a picture of a beholder. Stare into its eyes. But don’t stare too long. You may fall in love. Uh, dude, you’re a little too close to the eye that makes your organs melt. Might want to step back. Until next time! And remember: write until your hand goes numb!